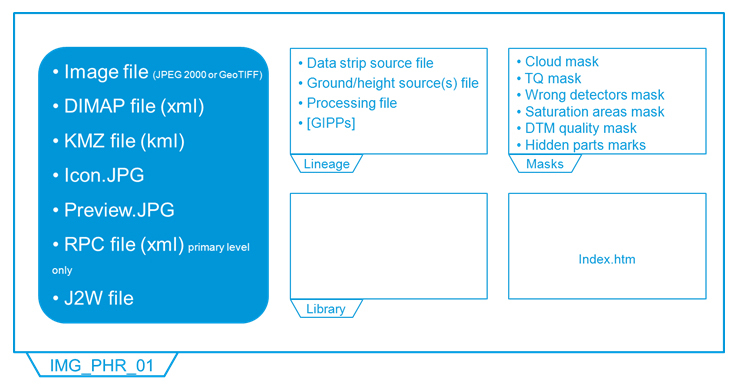 Pléiades and SPOT 6/ 7 products are delivered in DIMAP V2 format containing either a JPEG 2000 or a GeoTIFF image file. Quality mask and cloud cover mask are included. You can choose your image format: JPEG 2000 or GeoTIFF.